We have found drones to be a useful management tool. However the simplicity of drones is greatly overestimated, especially the notion of flying them by video monitor at great distances from the operator. NOTE: This article was originally published on NYTimes.com. Drones seemed like the perfect anti-poaching tools. But deploying them has been far more difficult than conservationists had hoped. LIWONDE, Malawi — Night has fallen at Liwonde National Park, but the trespassers are clearly visible. Three hundred feet in the air, a thermal camera attached to a BatHawk drone tracks their boat, a black sliver gliding up the luminous gray Shire River. The reaction is instantaneous: The boat makes a U-turn, high-tailing it out of the park. Africa is in the midst of a profound poaching crisis: The continent’s elephant population declined by 30 percent from 2007 to 2014, much of it because of poaching. At least 1,338 rhinos were killed for their horns in 2015 alone. Criminals are becoming increasingly militarized in their tactics, and efforts to stop them have had little success. 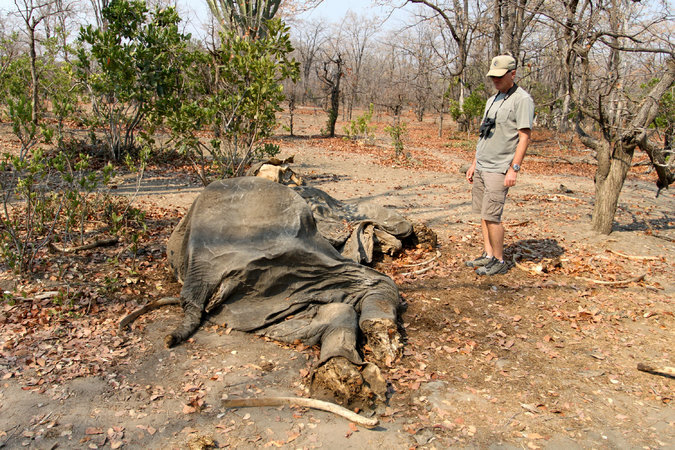 Liwonde has lost about 50 elephants and two rhinos since 2014 to poachers. In August 2015, the Malawi Department of National Parks enlisted the help of African Parks, a nonprofit that specializes in rehabilitating struggling protected areas. 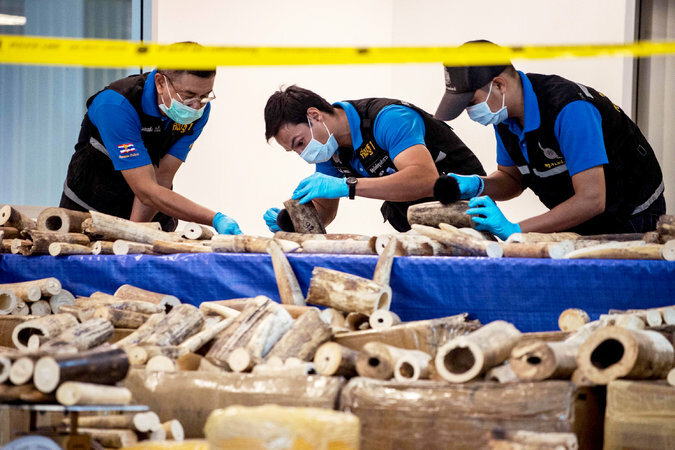 Since taking over operations here, the group has confiscated upwards of 18,000 illegal snares, made over 100 arrests, installed more than 60 miles of electric fencing and removed 261 elephants to another reserve. But African Parks also has embarked on an unusual high-tech experiment, calling in a drone team from South Africa. With funding from the World Wildlife Fund, including a $5 million grant from Google, drones are being tested here in the first systematic evaluation of their potential to combat poachers. UAV & Drone Solutions, the company that employs Ms. Dudley and Mr. De Necker, is the first licensed drone operator in Africa, a certification that permits the company to fly drones up to 15 miles away and to operate at night — crucial advantages, given that the vast majority of poachers are active after dark and few parks are able to carry out effective nocturnal patrols. The group now operates in South Africa, Malawi and Zimbabwe, and soon will expand to Botswana. Their fixed-wing, bespoke BatHawk drones are outfitted with cameras, video transmitters and telemetry, and with battery changes they can fly for more than eight hours. The idea of using drones to combat poachers is not new. Conservationists enthusiastically embraced the devices as a silver bullet a few years ago — but disappointment was swift. Industry-grade equipment and software are needed, but they tend to be well beyond the budgets of strapped conservation organizations. Park managers opted for inappropriate models, too fragile for wild landscapes and lacking the necessary flight capabilities and cameras. “I don’t think the world of conservation has the money to spend that would be needed to make an anti-poaching drone effective,” said Richard Vigne, the chief executive of Ol Pejeta Conservancy in Kenya. Conservationists failed to do the homework needed to see if drones were actually suitable for their needs, said Nir Tenenbaum, the director of Wildeas, a conservation technology consultancy. “So many groups want technology to solve all their problems, but usually they don’t understand the tech,” he said. Government officials haven’t helped. In Namibia, trial flights and training undertaken by the W.W.F., supported by the Google grant, were cut short when the government suspended the use of drones. Other nations have banned unmanned aerial vehicles entirely or have strictly limited their use. Only recently has that begun to change. In 2015, South Africa established some of the first formal drone legislation, and other countries have started making limited exceptions for their use. The Lindbergh Foundation’s Air Shepherd program, along with the South Africa-based Peace Parks Foundation and the W.W.F.’s Google grant, have covered about half U.D.S.’s $100,000 monthly operational costs. Despite these resources, Otto Werdmuller Von Elgg, the company’s co-founder, has discovered that drones are far from the blanket solution everyone had hoped for. So far, no arrests of poachers have been made solely based on drone surveillance, and pilots have only spotted poachers a handful of times. 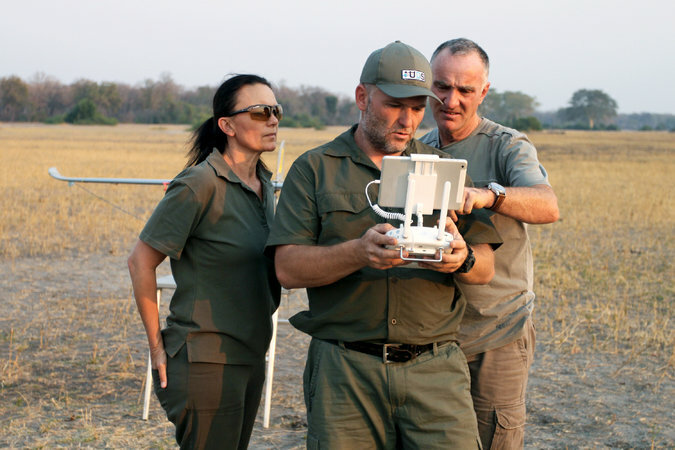 Drone teams often don’t get ground support in the form of rangers able to follow up on leads, and must frequently fly without guidance on where poachers might be, according to Mr. Werdmuller Von Elgg. When the drone team at Kruger finally did detect a group of rhino poachers, they called park officials. But officials said that there were no rangers available for deployment. But Otch Otto, formerly the mission area operations manager of ranger services at Kruger, believes that limited resources were better spent on proven techniques and technologies, not experimental flying drones. “The technology is in the research phase, and to dedicate a reaction capability to something unproven does not serve the rhino,” he said. Data analysis has also been a challenge. Currently, drone operators must watch live video feed to detect intruders and it is all too easy to miss the poachers. ndeed, pilots at a reserve managed by Mr. Coetzee missed a group of trespassers briefly picked up by their drone. The poachers were discovered only later in a review of the video feed. Serge Wich, an ecologist at Liverpool John Moores University in Britain and co-founder of the nonprofit Conservation Drones, is collaborating with colleagues from the astrophysics department to develop drone software that differentiates between humans and animals. “Once this is finalized, instead of having hours and hours of video to look at that doesn’t have meaningful information, rangers will get a ping when there’s a high chance that a poacher has been detected,” Professor Wich said. Perhaps the biggest challenge is that conservationists do not know how to most effectively put anti-poaching drones to use, because there have been no rigorous long-term evaluations. South Africa’s Council for Scientific and Industrial Research conducted a two-month trial with U.D.S. and concluded that the technology is “a remarkable support tool,” but officials have yet to release the data supporting those findings. Most evidence supporting drones is anecdotal: Mr. Coetzee said he has seen a significant reduction in park incursions when and where drones fly, but added that other factors could have been at play. Drones may deter trespassers, he said, but they may simply go elsewhere in the reserve. W.W.F. plans to tease out the answers to these questions by evaluating the drones’ effectiveness against poachers here in Liwonde. Trials with two Bathawks and three DJI Phantom drones began in August. The foundation also has begun a test in Zimbabwe. Whether drones also can help reduce animals’ contact with humans is also on the agenda. One unexpected discovery: DJI Phantom drones can steer elephants away from park boundaries — likely because they sound like a bit like bees, and elephants hate bees. “At the end of the experiment, hopefully we’ll be able to say here’s some good things you can do with drones and here are the things you shouldn’t try because they probably won’t work,” said George Powell, W.W.F.’s director of wildlife technology. I heard Mr. Christopher Gill’s presentation at the 2015 Quivira conference. He recommended not to use drones unless are willing to go through a few. I attended a presentation by AeroVironment of Monrovia, CA on Feb 28, 2017. They have developed a drone, Quantix, system that has “hands off” operation. Once the flight parameters are programmed in by the operator, the drone’s flight is automated. It has three sensors: 1)RGB camera 2)multi-spectral camera 3)Solar sensor. It covers 400 acres in 45 minutes. Just thought Mr. Gill might want to check it out. Drones are hard to fly, easy to crash and even lose. We keep them close, out away from obstructions and in sight at all times. It is truly an expensive, time consuming ordeal when you crash.